Today we were treated to a very full day in Vienna. By the time we awoke we were already docked. 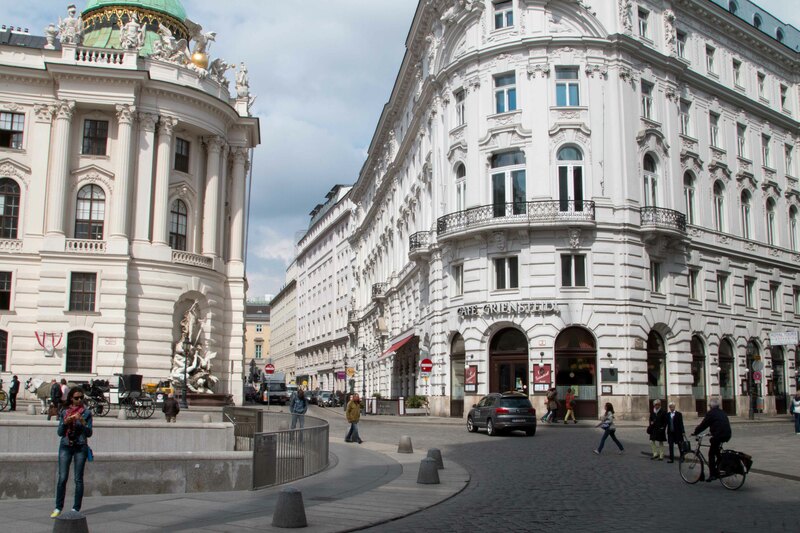 At 9:00 am we set off on a bus tour of the downtown area of the city: past the huge park which contained an amusement park complete with huge Ferris wheel, over the Danube Canal and onto the Ringstrasse which encircles the medieval city center. 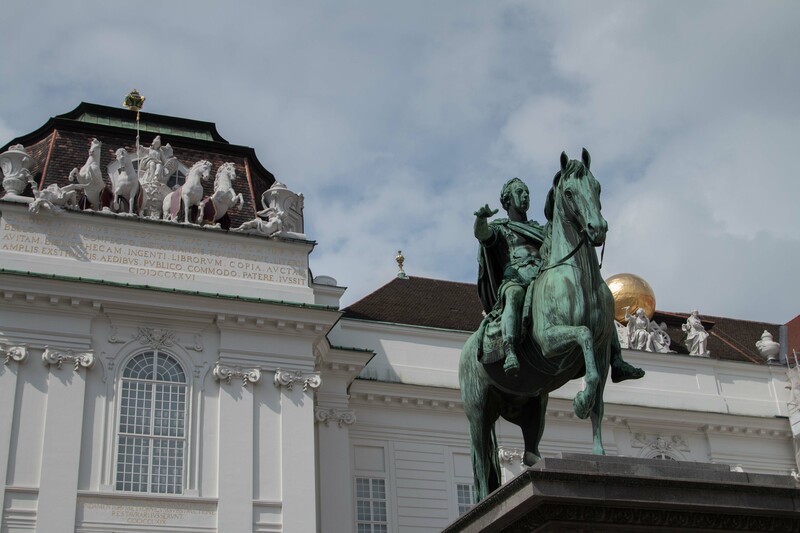 Along the way we learned about the history of Vienna and the Hapsburgs who ruled Austria for 6 centuries until WW I.
Alighting from the buses, we enjoyed a walking tour of the old, central part of Vienna. It truly is a beautiful city. 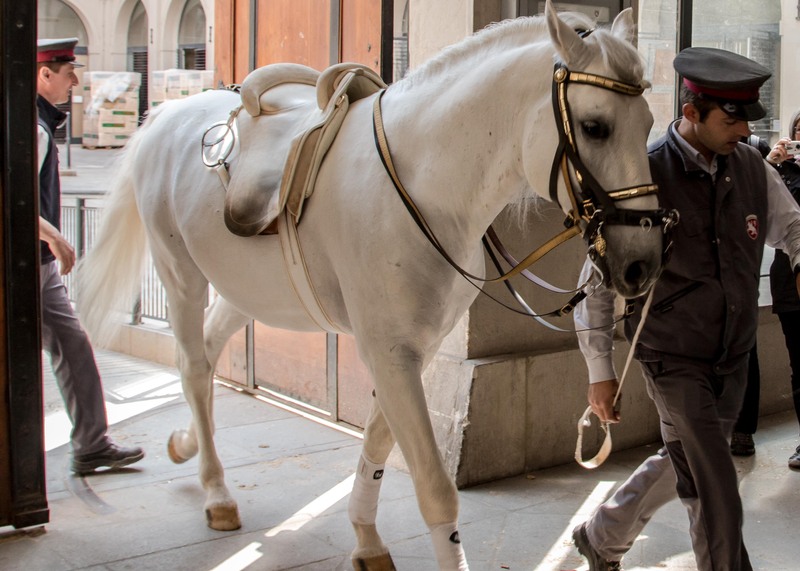 While walking past the riding school we were even treated to the sight of a few horses being led from the stables. 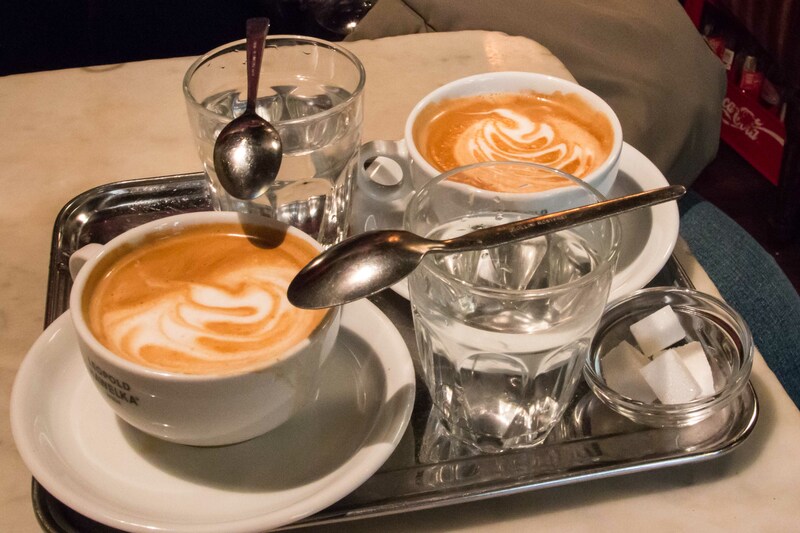 Following the tour we had time for a coffee at the Hawelka Cafe, one of the well-known Viennese coffee houses. Then it was back to the buses and back to the ship. 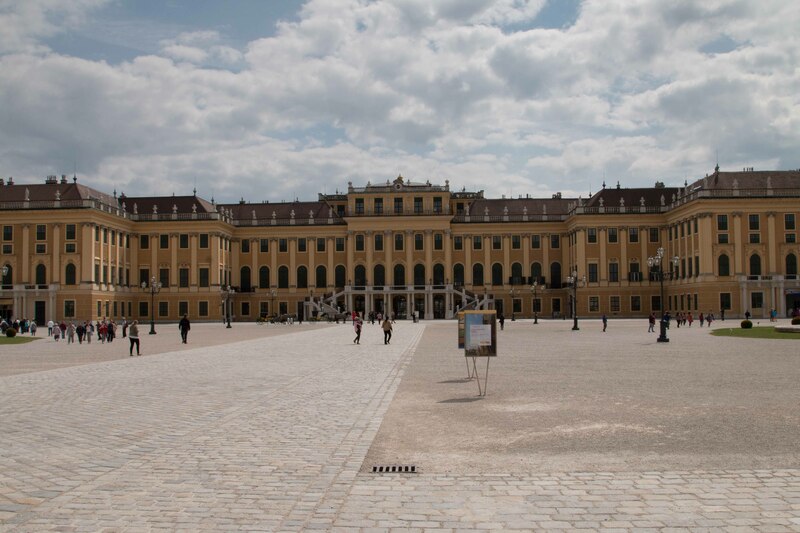 Following lunch we disembarked on the optional tour, for which we had signed up, to Schonnbrunn Palace. 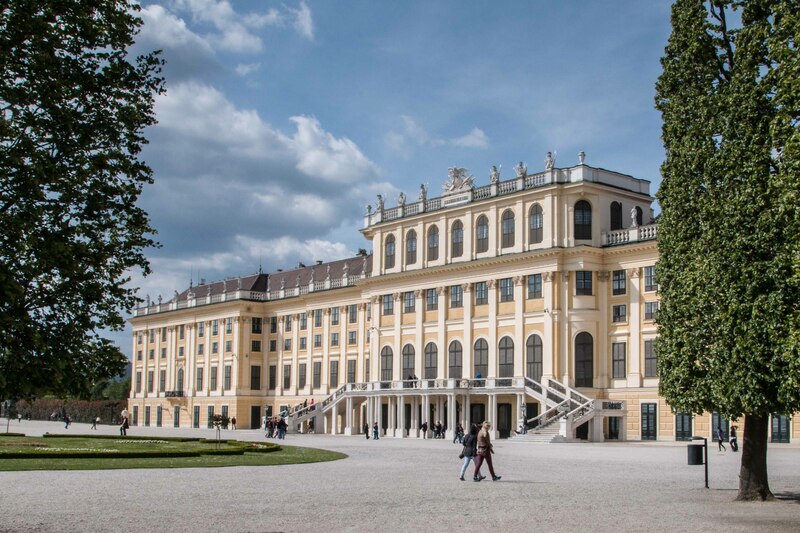 The summer palace of Maria Theresa is reputed to be one of the grandest in Europe, with good reason. 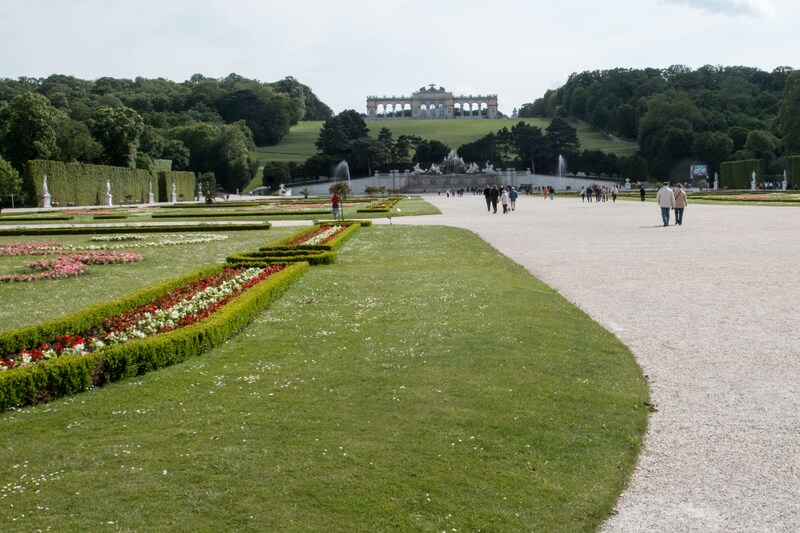 The palace is amazingly beautiful and it’s formal gardens are truly magnificent. My only disappointment was that our limited time would not allow for more than short stroll around a small part of the garden. 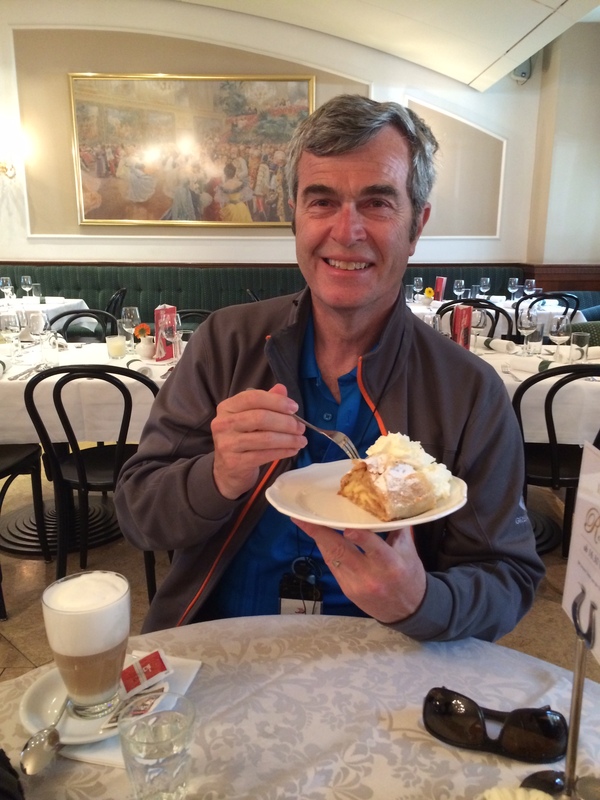 We did allow enough time,though, for a coffee and a wonderful piece of strudel at the cafe. 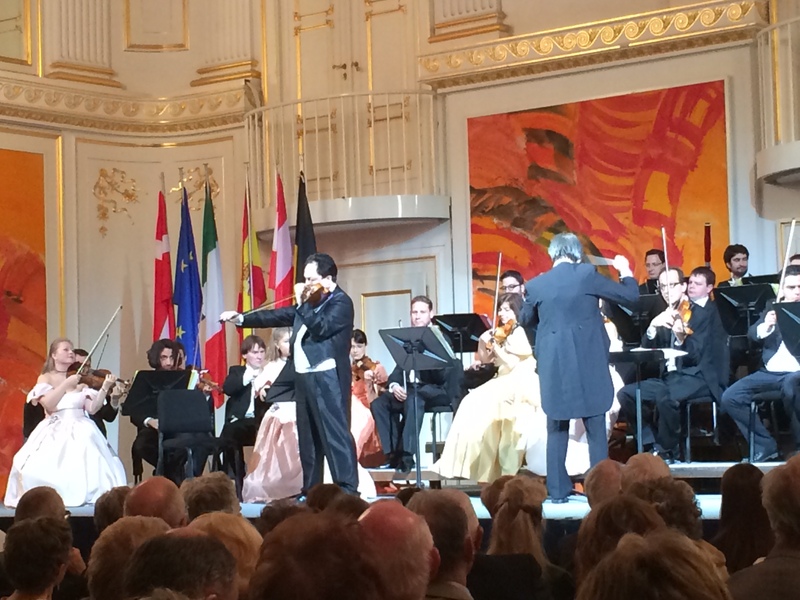 The highlight of the day, and certainly a highlight of the trip, was an evening concert at the Hoffburg Palace. The evening was primarily music of Mozart and Strauss, with a delightful surprise at the end in the form of Lehar’s Merry Widow Waltz. It was a very long day; however, we took full advantage of our day in Vienna.